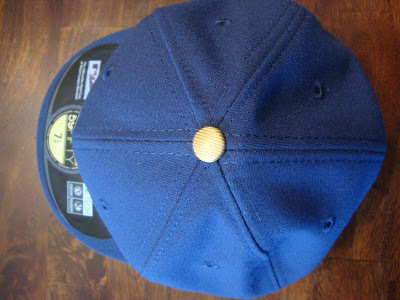 Major League Baseball has started selling the YOUniform caps in its online shop. 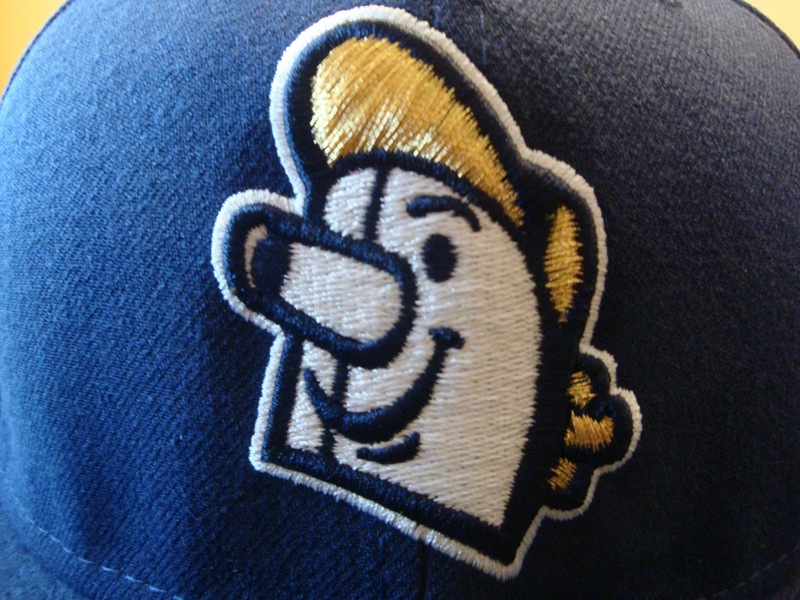 This is your opportunity to support the Beer Barrel Man, who is of course descended from our very own Owgust, the barrel-chested mascot of the Brewers. Owgust was the face of the Brews from 1942 through the bitter end, and when local car dealer Bud Selig founded a group to bring Major League Baseball back to Milwaukee following the Braves' move to Atlanta, the BBM was the symbol he chose. After decades of neglect, the BBM has undergone a renaissance in recent years. He's seen on merchandise, stadium giveaways and now, thanks to the YOUniform contest, even on caps for a game or two this Spring Training. 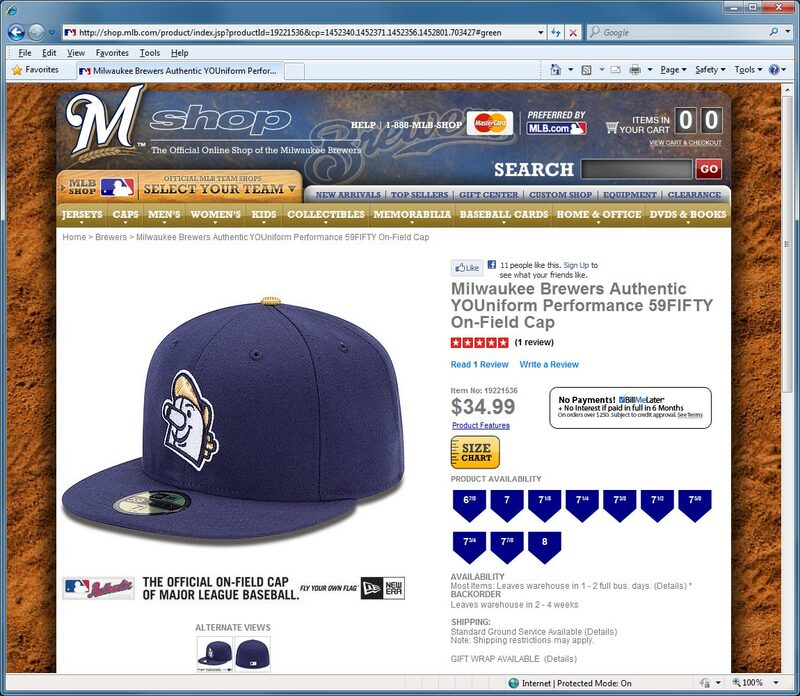 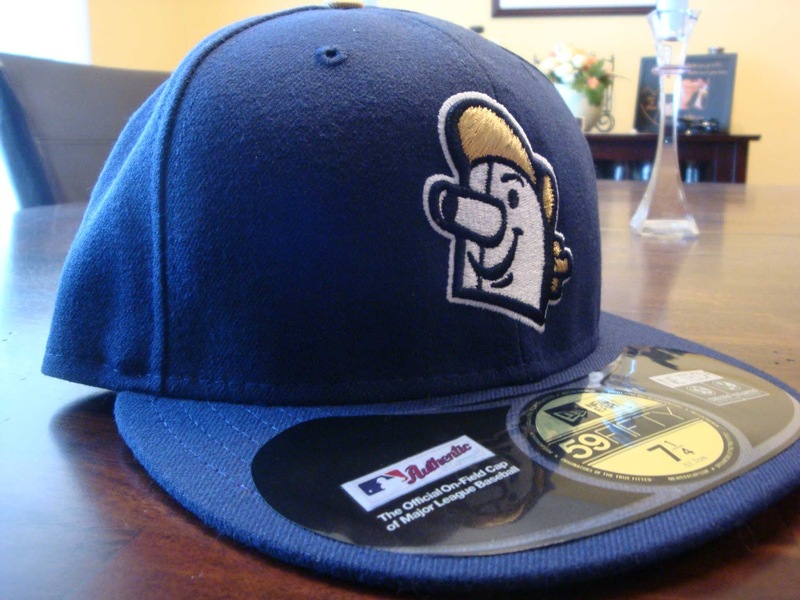 Reader Johnny O had an opportunity to pick one of these up from the Brewers' store and sends along these photos. 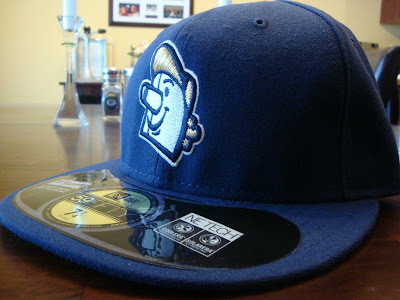 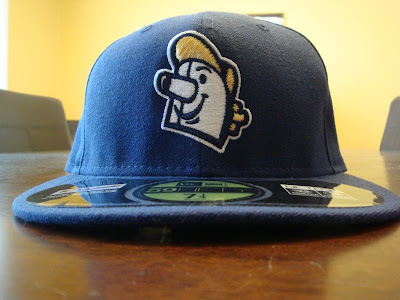 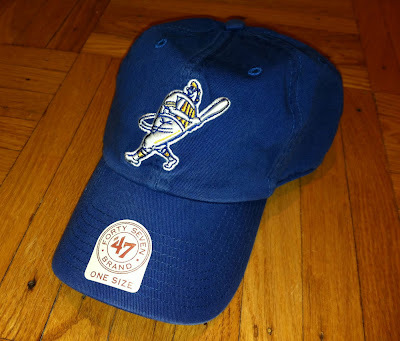 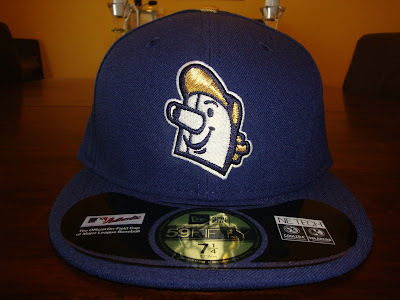 When this "spring training" cap is worn during a regular season game, and you know it eventually will be, it will be only the second time that the Beer Barrel Man has appeared on a Milwaukee Brewer field uniform. 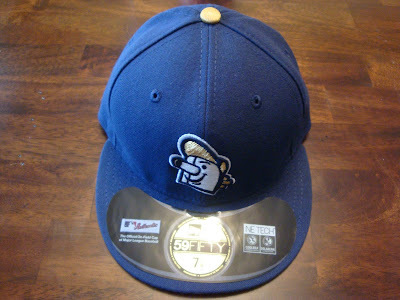 The first was 1999's "Turn Ahead the Clock" event, and this cap bears a distinct resemblance to that one. Buy yours today - the Brewers will never give us more Beer Barrel Man unless we give them a reason!